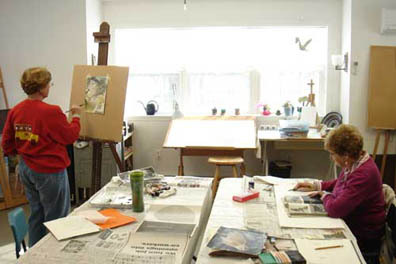 Individualized Art Instruction: Work in the media and subject of your choice. Help define your vision and express it with joy and skill. Offering technical instruction and critical analysis. Specializing in observational drawing and painting technique. Sharon D. Siegel is an independent artist, illustrator and was the founder and director of the former Albany School of Visual Arts. She has led many professional development activities for regional artists and art teachers as Arts Coordinator at Capital Region BOCES and has been an adjunct professor at the College of St. Rose. Please take a look at Sharon's artwork. Ongoing instruction in the media of your choice: oil paint, acrylics, watercolor, gouache plus drawing techniques in a variety of media. These classes are intentionally small for individualized instruction. Discover what you want to say and learn the artistic skills to say it! More classes will be added on demand. 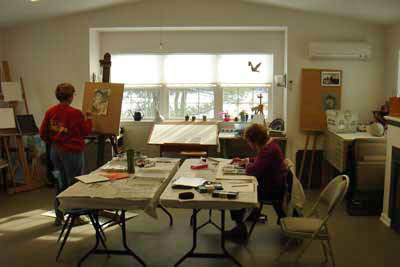 · Please check out special one-day art and computer workshops with guest artists. · On demand short series of selected media and techniques will be offered.